"Tested on Martha's friends and family...not on animals." 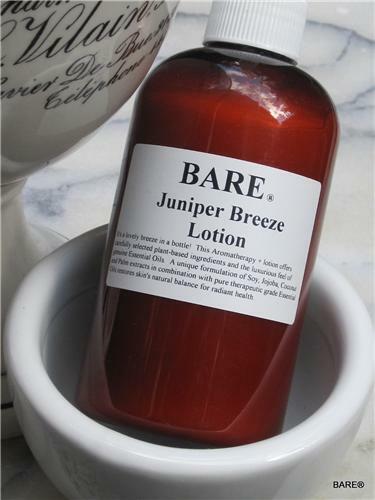 BARE Juniper Breeze Lotion It's a lovely breeze in a bottle! Extra thick and rich Shea & Aloe lotion. Fortified with Aloe, Shea Butter & Natural Oils. Silky-smooth, paraben free lotion that quickly melts into skin to restore softness and hydration. Perfect for normal and dry skin to soothe for all-over skin care; moisturize, soften, nourish, and replenish. Also high in glycerin, this lotion absorbs in quickly while providing long lasting moisture. Aloe, Coconut Oil, Kosher Vegetable Glycerin, Emulsifying Wax, Palm, Grapeseed Oil, Citric Acid, All Natural Essential Oil. Sign up for our Email List today and be the first to hear about our specials and promotions!